Raises Player's Max AP from 6 to 8. Does not affect the enemies' AP. Do you sometimes want to skip a turn, but feel forced to use at least 2 AP, so you don't lose them? 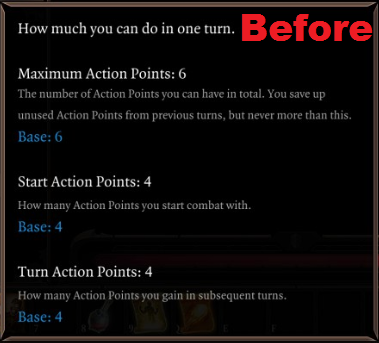 Not anymore : you can now save your 4 AP and use them in the next turn. 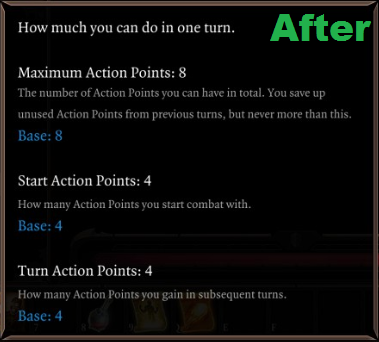 This lets you be more tactical on your AP use, instead of being forced to consume them each turn. 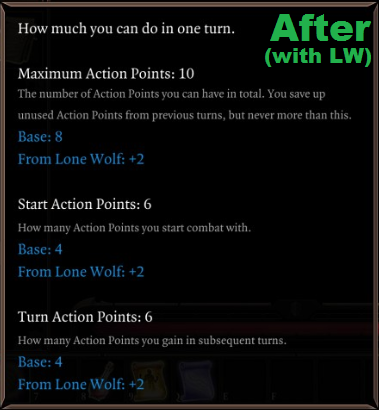 Compatible with "Lone Wolf" skill. 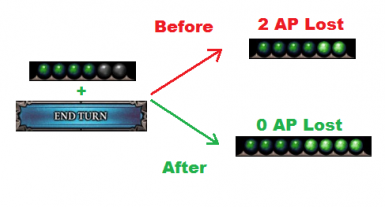 NB : this mod doesn't change AP regeneration, only AP limit. 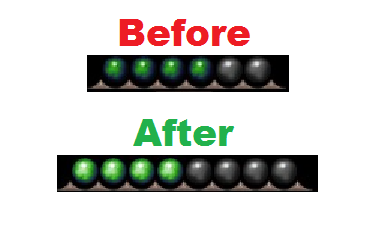 - "Can I use 'Glass Cannon' with this mod?" Yes, but I advise against such behaviour, as this mod isn't meant to boost your AP regeneration.